Real Madrid looks a much better team without Cristiano Ronaldo and players like Marco Asensio and Isco looks more confident in the absence of Ronaldo. 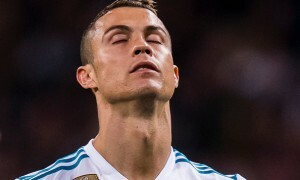 Truth be told Ronaldo is doing nothing in that team, Should Marcelo, Kroos and Modric be off form that means the end of Ronaldo. If I were to be a Real Madrid coach...I would be probably drop Cr7 to the bench because Players like Marco Asensio and Isco plays freely when Ronaldo is not playing.